What healthcare informationÂ management (HIM) service providersÂ hope is the notion that the patient data generated helps in effective healthcare delivery, whether or not it actually contributes to betterÂ outcomes is dependent on the service-Â level dynamics that are bounded by regulation. One such transition that has recently been implemented is the ICD-10 compliance. ICD-10 is the 10th updated edition of the International Classification of Diseases (ICD) codes and will replace the current ICD-9 system of the United States (US). The revised system, which fallsunder the guidance of the World Health Organization (WHO) and is used to classify diseases and causes of death, has adaptations for the US usage that include inpatient hospital procedure codes. On October 1, providers covered by the Health Insurance Portability Accountability Act (HIPAA) had to transition to a 10th version of the International Statistical Classification of Diseases. Insurers use the codes to determine reimbursement. Researchers and health statisticians use them to uate medical processes and outcomes. 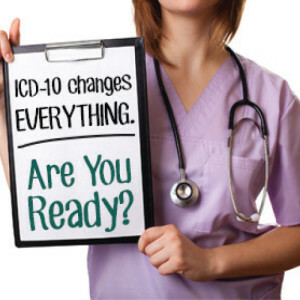 The transition from the old ICD- 9 to ICD-10 was long overdue in the US. To be approximate, it took the country nearly 30 years to adapt the system for both public and private healthcare payers and providers. While in the European countries, where healthcare isÂ centrally coordinated, the ICD-10 was implemented way early. The UK had implemented it in 1995, France in 1997 and Germany in 2000. The essence of assigning medical codes to patient data is to create an approach to the solutions that arenât just arithmetic, but are in some sense logarithmic and logical. The ICD- 10 coding system for instance has two parts. ICD-10, has 68,000 diagnostic codes, five times more than the previous version while the ICD-10-Procedural codes (ICD-10-PCS), which are assigned to every hospital procedure, have increased 29 times over the list in the ICD-9. The ICD-10 provides for significantly greater specificity, not only about an individualâs health condition, but often about the circumstances that led to an injury or illness. According to an American Medical Association (AMA) fact sheet on ICD-10, the more precise codes also have the potential benefit for fewer rejected claims, improved benchmarking data, improved qualityÂ and care management, and improved public health reporting. With increase in specialisation and precision-based treatment, the US had a long overdue for transforming from ICD-9 to ICD-10 process. Medical coding has evolved over the years with its focus majorly on devising various codes with a high level of precision. Now, the Indian IT services industry alone which has been projected to become a 1.9 billion dollar industry, has a lot of pressure and demands to be met. Healthcare IT sector is now emphasising more on Big Data Analytics and Cloud Storage models in order to ensure better performance and efficiency. Most of the medical errors in the medical system are not due to bad doctors, but due to systematic errors while diagnosing and doing clinical analysis. Errors in ICD-9 are 30 years old and very rigid. However, this new iteration of the ICD has enabled better clinical documentation and patient data management. Now around more than 130 countries have adopted this code and this was mainly used for systematic allocation of patient data stored in a data base where electronic medical records (EMRs) had to be accessed for clinical diagnosis, reimbursement of claims and resource utilisation, altogether which makes this storage process voluminous and sensitive . The ICD-10 process being very technically complicated needs more expert-based tutoring and training to all the next-generation medical professionals, as many complicatedÂ codes and the codes yet to be assigned or decoded will have to be properly briefed and explained to them. Documentation part of the process has always many challenges while performing coding. Now when a patient has a medical ailment in any part of the body, the process indicates the exact body part, as well as reviews both the code and the documentation. Careful and methodical analysis, if suppose is not done while performing this clinical diagnosis process, then it gives a highly complicated output with errors. Corruption in the medical system is very rampant and that remains to be the greatest barrier which is not transparent and a tough nut to crack in countries across the world. This malaise leads to erroneous treatments and diagnosis coupled with serious and grave medical consequences, such as permanent disability or death, etc. Despite the presence of Medical Negligence Law, as well as the Federal Law in the US, or regulatory institutions, such as Medical Council of India (MCI) and US Food and Drug Administration (USFDA), the medical world has succumbed to some terrible and regrettable lapses in the past. A gamut of issues has to be looked into. Presently with more than 68,000 codes in the new process, the transition time generally takes very long, as it is not possible to transfer the technology or the new coding methodology within few months. Medical experts and business leaders argue the fact that this ICD-1O may lead to a massive revenue loss. Since there are no any immediate experts in denial managements,Â medical coders and billers using this model may encounter various errors due to improper mapping, as well as no any well laid out precise codes. Let us take, for example, if a hip joint is needed for a patient or if a patient visits a hospital to get an X-ray due to cough or cold, then in these cases the coding does not have precise code, as for what is the material for the hip joint or what may be the different health complications for the X-ray. Now the hip joint may either be ceramic or some other material, as well as the X-ray may indicate pneumonia or lung infection. Such precise codes are yet to be worked out for better clarity and simplicity. Physicians may pronounce the correct verdict on their clinical diagnosis, but the medical professionals may not record it correctly if codes are unavailable or inappropriate at that particular point of time. Even in the claim processing cycle, the clearing houses may deny the payments or reimbursement thus affecting the workflow of the organization, as well as leading to an overall performance deficit of the medical professionals. Issues like these may have toÂ be fixed immediately in order to avoid any further complications or huge exodus of proper or effective recording of patient data. Now when the transition has already set in, we cannot reverse the changes and step back. Instead take proactive steps in order to manage the transition period by regularly updating all the HIM professionals. Now very critical and sensitive data needs to be protected through various models, such as Business Analytics and Population Health Management System, as the threat of data security and malware attacks have also recently lead to a serious loss of patient data in the recent times. A good code is tested for code frequency, code productivity, volume of a coder, claims denial rate, quality of clinical documentation, types of denials, various other factors related to claims denial and complaints, etc. Healthcare professionals, juniors and students in their graduation days must be well updated through periodic guiding, training and coaching, as regular updates and proper teaching methodologies will keep them hooked and dynamic in this competitive and highly critical industry. Proper coordination of patient data is needed as this sensitive data, as well as the highly critical information, leads to proper clinical diagnosis and highly skilled professional treatment. 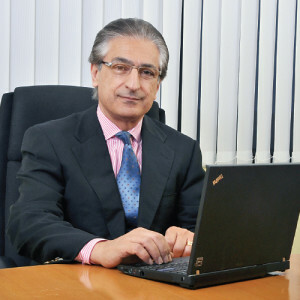 Therefore, regular quality checks and proper updating methodologies along with a proactive approach of ensuring the best possible results for the companyâs finances are needed, as issues like denial in claims or improper mapping of codes will surely result in the deluge of quality patient care and treatment. Every transition may come up with its own complexities; this one too needs periodical upgradation and a well-planned professional approach with proper coordination and support among the medical health professionals. If these things are followed, I hope we may face a smooth period of transition as supposed to wrongly perceived period of gloom and hopelessness.